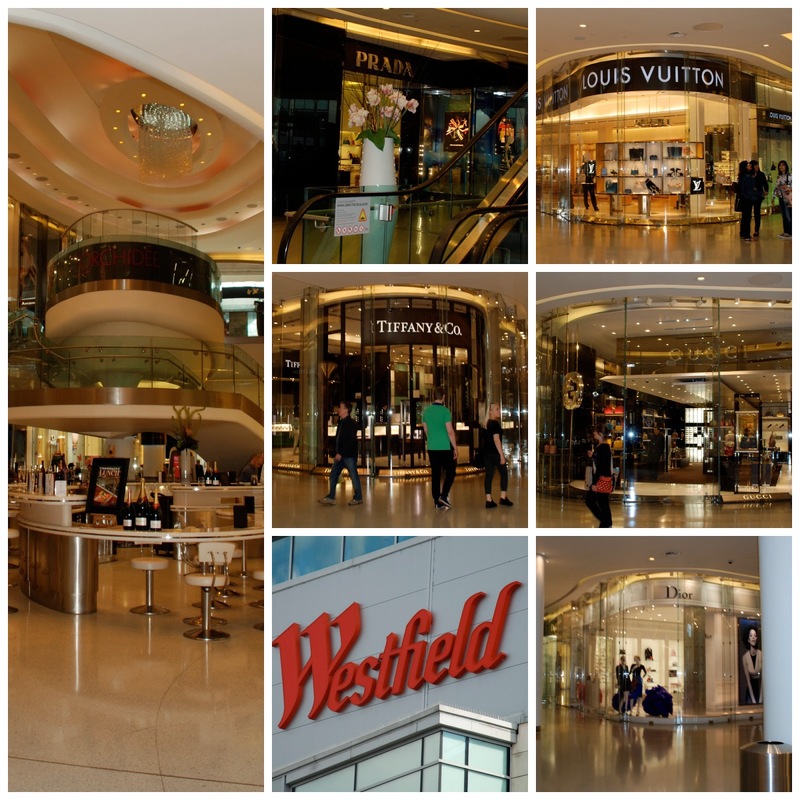 Just a stone's throw away from the glittering, marble-clad shopper's paradise that is Westfield is Shepherd's Bush Market, a traditional London street-market. And it would be hard to conceive of two more different shopping venues even if you resorted to tripping on hallucinogenic drugs (which, to be very clear, I am NOT recommending that you do). 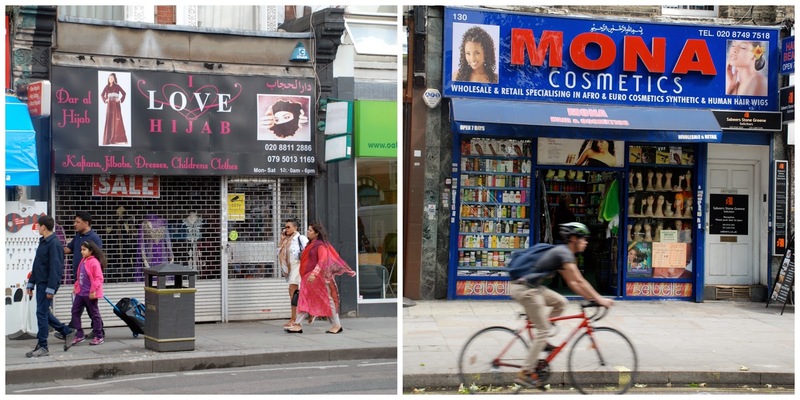 They are the retail chalk and cheese of the rich and varied spectrum of shopping that our great capital has to offer. Now I'm not going to say that one is brilliant and the other is rubbish. They're clearly pitched at two very different types of shopper, and I think that both of them deserve to exist. I'm also not saying that I'm going to buy a load of stuff in either of them: I'm not. Westfield Village is way too glitzy and over-the-top for me, and Shepherd's Bush Market sells a lot of stuff that I don't have much use for. I don't wear hijab, eat Halal meat, enjoy Ugandan-hot chillies, or look like I belong in the many, lovely, but very brightly coloured textiles that they sell. If I lived round the corner I'm sure I'd buy my fruit and veg there, I'd pop in if my mobile phone needed to be fixed, and from time to time I'd buy things from the haberdashery stall. The sad thing is that the market's future is looking very uncertain. There's a regeneration order floating around, which may just do away with it altogether. And I for one think that would be a crying shame. It's a really colourful place, built along the side of a railway viaduct. It's been there since 1914, and is clearly a popular shopping venue with many of the locals who can't find what they want in the fancy boutiques down the road. There's a real textiles buzz about the place. 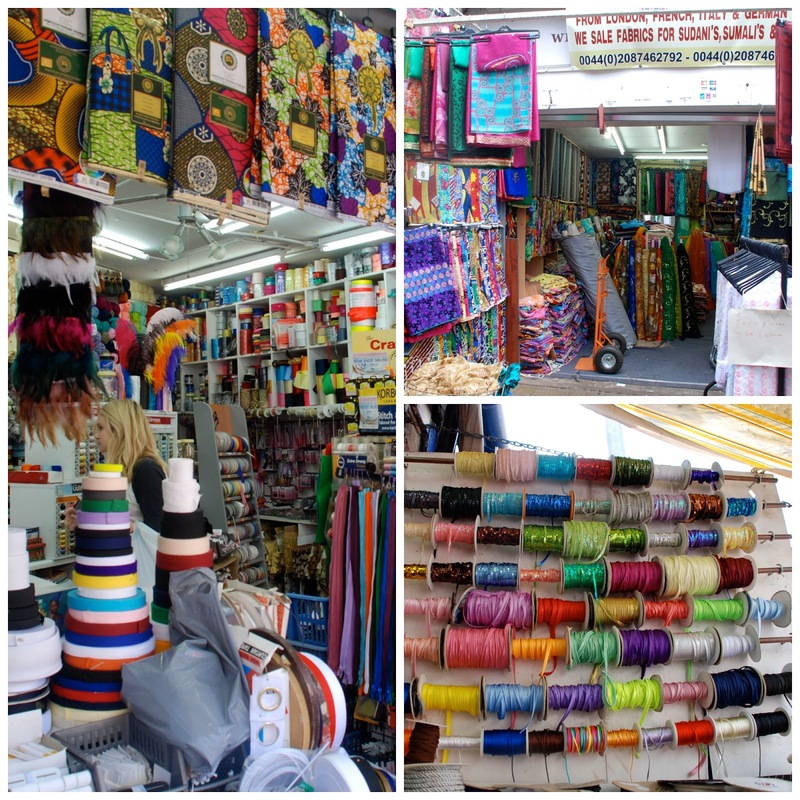 There are numerous stalls selling fabrics and haberdashery, and what really made my heart sing was the number of enthusiastic young ladies in their late teens/ early twenties who were shopping for their next creations. They had that lovely, excited, anything is possible attitude as the bales of fabric sent their imaginations into overdrive. 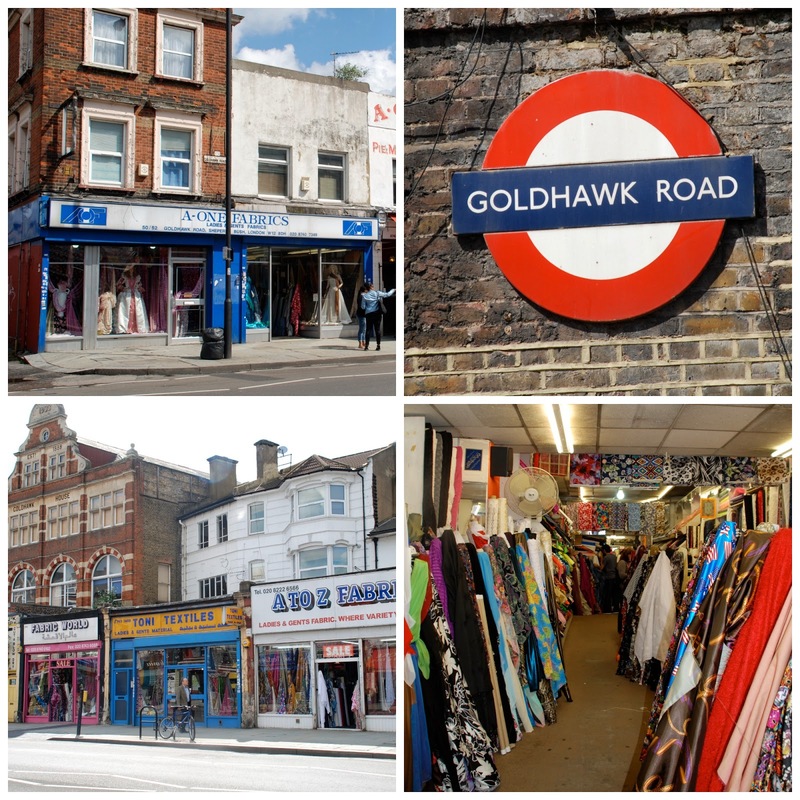 The market leads out onto the Goldhawk Road, where there are another half dozen established fabric shops. 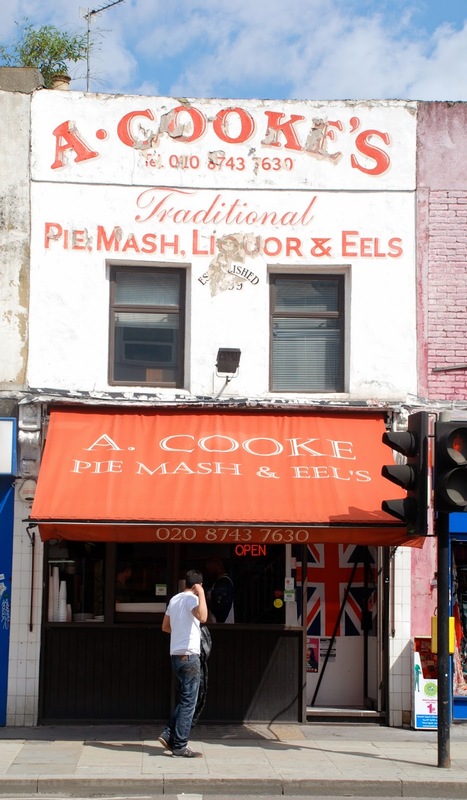 And while we're out on the Goldhawk Road it's worth checking out the traditional pie, mash and eels cafe. Jellied eels are a traditional dish in the East End of London. And, whilst I've lived here for most of my adult life, it's a taste I have yet to acquire, so I resisted the temptation to pop in for a mid-morning snack. Instead I wandered back down the market for another look at what it had to offer. 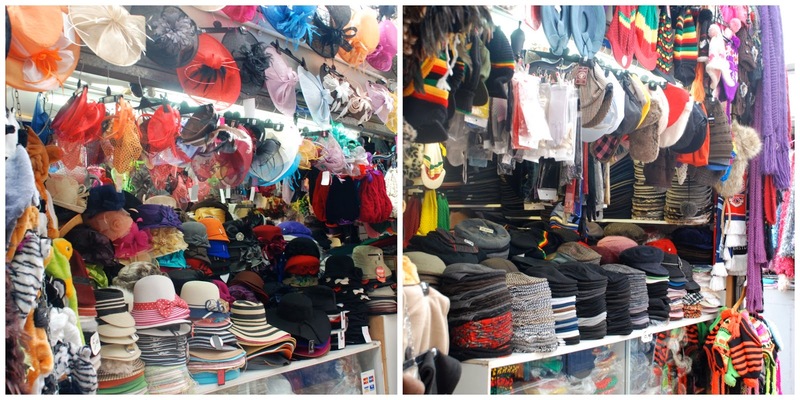 There were hats; lots and lots of hats in every colour, size and shape. There was some street art. Now to some this street art may be nothing more than graffiti. I looked at it carefully and decided that it had some merit, and then I wondered how they'd managed to paint it up there. Did they scale the roof, and then daub it on upside down with one guy dangling the artist over the edge by his ankles, or did they come in the dead of night with ladders and do it by torchlight? I was impressed with the carpet shop that was also selling astroturf. It's good to diversify, don't you think? And I can tell you straight up that you have no chance of finding astroturf in the designer halls down the road. 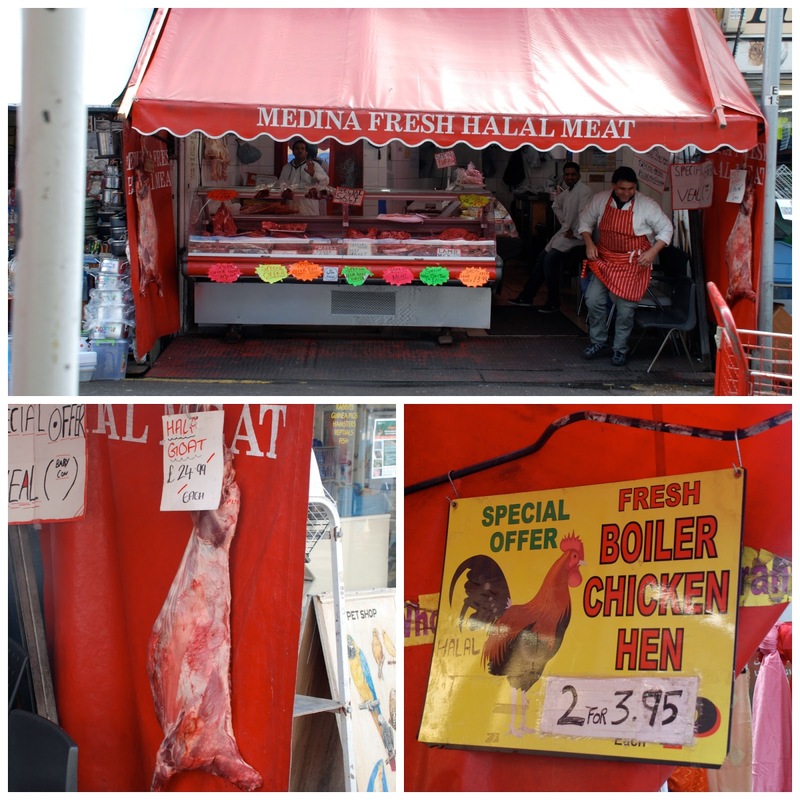 ... and so many things caught my eye, like the special offers on goat meat and boiler chickens. You certainly wouldn't find anything to match that down in Waitrose or the M&S Food Hall, but again this is the type of food that the people who live round here eat. 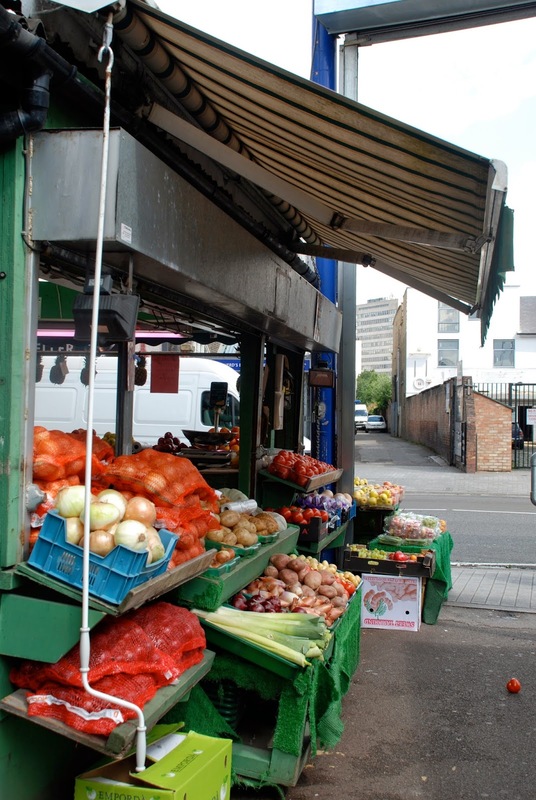 And without the market those communities wouldn't be able to find it in the quality and quantity presently available. There's clearly a rich culture of home-cooking going on in local family homes and it would be a shame to do anything that might interfere with that. 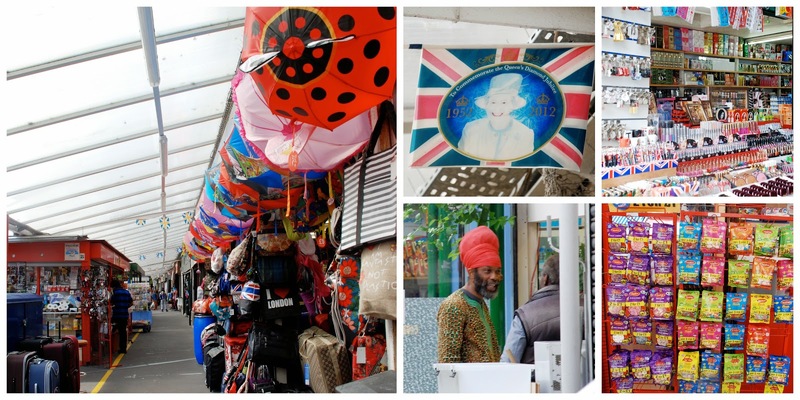 People were selling makeup, umbrellas, sweets and everything in between. 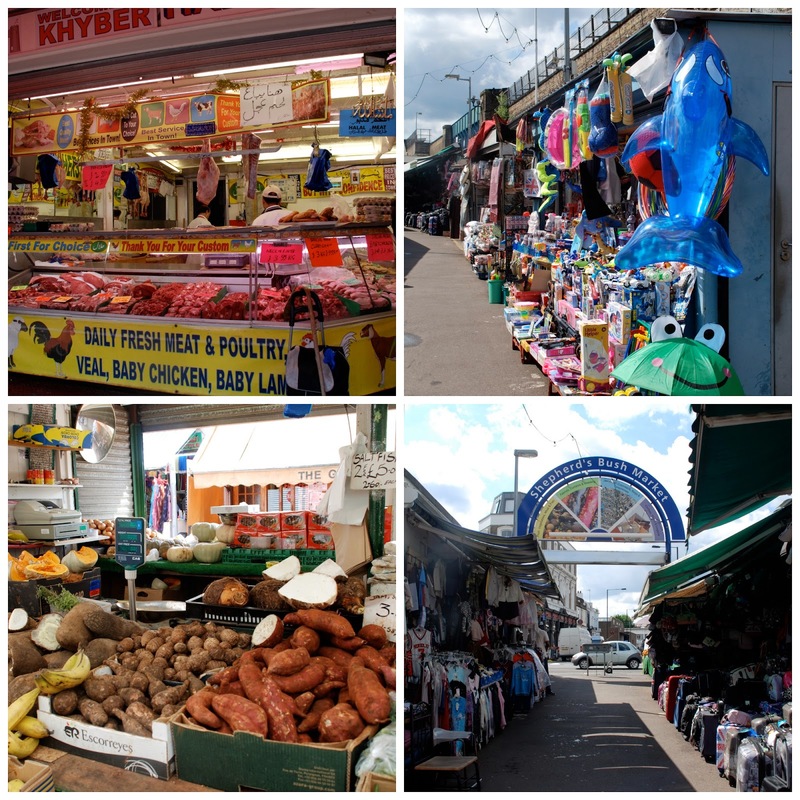 ... which boasts a few unique shops of its own that also cater for the specific cultural requirements of the neighbourhood in a way that the designer shopping centre doesn't. Personally I think it's marvellous that such diversity can exist in the stretch of a few city blocks. 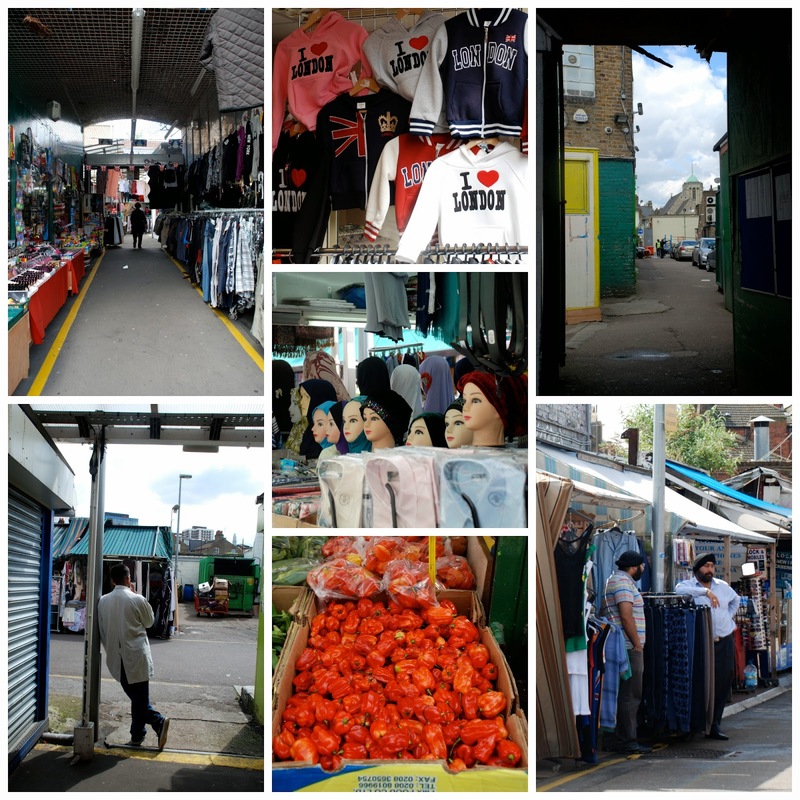 We live in a truly multicultural society here in West London, and I think the planners ought to think long and hard about how the local, maybe not so well-off, folk in these parts would be affected by even the temporary closure of their market. It would be a travesty if it were to be regenerated into another characterless shopping mall selling over-priced coffee and little that was of any real use to the locals. 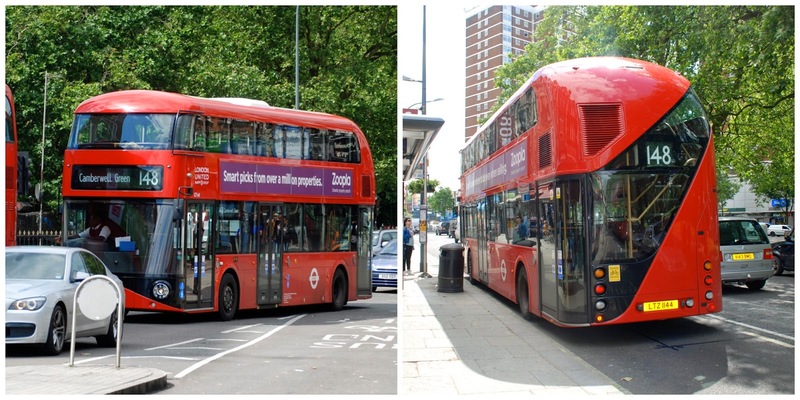 And, to change the subject, I really love our groovy new red buses. Aren't they wicked? Such a welcome joy to read your post and learn of another place and culture. So much different and yet so much the same. We seem to all be facing times when we must choose to preserve places and things and people that are significant. Love the view of the textile markets. A lovely slice of your life - thank you! Wow so many things to look at. One could spend hours there I bet. What a fun post. Your photos really put us there. Agreed that the graffiti reflects design and humor. Thanks for contributing to this week's Monday Mural. Would you mind linking back to the meme? 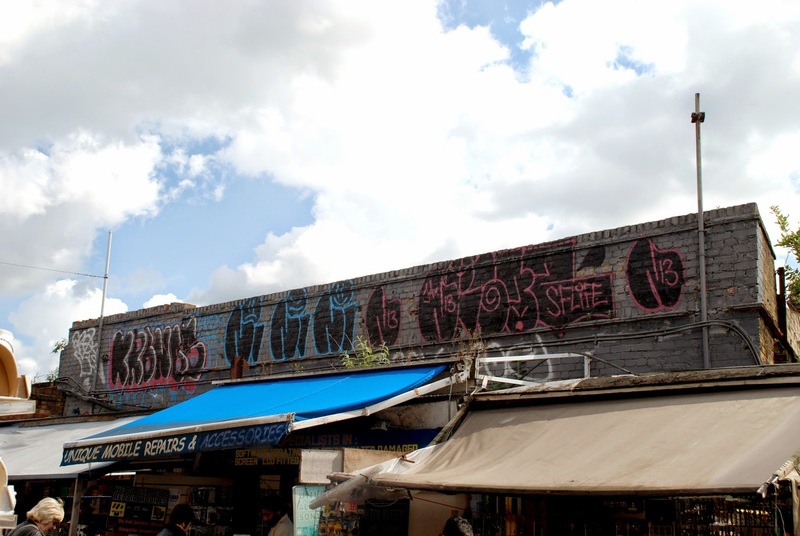 I know London has lots of street art, so I hope you'll show us more.